Supplier selection process has become an important force that influences the management of industrial relations. Therefore, it has a great importance for companies. Supplier selection process is a complex multi-criteria decision making process where problems include multiple objects. In this study, multi-criteria decision making problems, decision makers’ opinions on these problems, and the solution processes are discussed. The proposed algorithm, modeled with trapezoidal fuzzy numbers, is applied to an example in the literature. The results obtained from the proposed algorithm and from the existing method are compared in terms of the quality of the solution. Chan, F. T. S., Kumar, N., Tiwari, M. K., Lau, H. C. W., and Choy, K. L., “Global supplier selection: a fuzzy-AHP approach,” Int. J. Prod. Res., vol. 46, no. 14, pp. 3825–3857, Jul. 2008. Kahraman, C., Cebeci, U., and Ulukan, Z., “Multi‐criteria supplier selection using fuzzy AHP,” Logist. Inf. Manag., vol. 16, no. 6, pp. 382–394, Dec. 2003. Kilincci, O. and Onal, S. A., “Fuzzy AHP approach for supplier selection in a washing machine company,” Expert Syst. Appl., vol. 38, no. 8, pp. 9656–9664, Aug. 2011. Weck, M., Klocke, F., Schell, H., and Rüenauver, E., “Evaluating alternative production cycles using the extended fuzzy AHP method,” Eur. J. Oper. Res., vol. 100, no. 2, pp. 351–366, Jul. 1997. Plebankiewicz, E. and Kubek, D., “Multicriteria Selection of the Building Material Supplier Using AHP and Fuzzy AHP,” J. Constr. Eng. Manag., vol. 142, no. 1, p. 4015057, Jan. 2016. Chang, D. Y., “Applications of the extent analysis method on fuzzy AHP,” Eur. J. Oper. Res., vol. 95, no. 3, pp. 649–655, Dec. 1996. Budak, A. and Ustundag, A., “Fuzzy decision making model for selection of real time location systems,” Appl. Soft Comput., vol. 36, pp. 177–184, Nov. 2015. Chou, C.-H., Liang, G.-S., and Chang, H.-C., “A fuzzy AHP approach based on the concept of possibility extent,” Qual. Quant., vol. 47, no. 1, pp. 1–14, Jan. 2013. Ghassemi, S. A. and Danesh, S., “A hybrid fuzzy multi-criteria decision making approach for desalination process selection,” Desalination, vol. 313, pp. 44–50, Mar. 2013. Shaw, K., Shankar, R., Yadav, S. S., and Thakur, L. S., “Supplier selection using fuzzy AHP and fuzzy multi-objective linear programming for developing low carbon supply chain,” Expert Syst. Appl., vol. 39, no. 9, pp. 8182–8192, Jul. 2012. Cakir, O. and Canbolat, M. S., “A web-based decision support system for multi-criteria inventory classification using fuzzy AHP methodology,” Expert Syst. Appl., vol. 35, no. 3, pp. 1367–1378, Oct. 2008. Ashtiani, M. and Abdollahi Azgomi, M., “A multi-criteria decision-making formulation of trust using fuzzy analytic hierarchy process,” Cogn. Technol. Work, vol. 17, no. 4, pp. 465–488, Nov. 2015. Lima Junior, F. R., Osiro, L., and Carpinetti, L. C. R., “A comparison between Fuzzy AHP and Fuzzy TOPSIS methods to supplier selection,” Appl. Soft Comput., vol. 21, pp. 194–209, Aug. 2014. Lee, J., Cho, H., and Kim, Y. S., “Assessing business impacts of agility criterion and order allocation strategy in multi-criteria supplier selection,” Expert Syst. Appl., vol. 42, no. 3, pp. 1136–1148, Feb. 2015. Ren, J. and Lützen, M., “Fuzzy multi-criteria decision-making method for technology selection for emissions reduction from shipping under uncertainties,” Transp. Res. Part D Transp. Environ., vol. 40, pp. 43–60, Oct. 2015. Yadav, V. and Sharma, M. K., “Multi-criteria decision making for supplier selection using fuzzy AHP approach,” Benchmarking An Int. J., vol. 22, no. 6, pp. 1158–1174, Aug. 2015. Hicdurmaz, M., “A Fuzzy Multi Criteria Decision Making Approach to Software Life Cycle Model Selection,” in 2012 38th Euromicro Conference on Software Engineering and Advanced Applications, 2012, vol. 38, pp. 384–391. Calabrese, A., Costa, R., and Menichini, T., “Using Fuzzy AHP to manage Intellectual Capital assets: An application to the ICT service industry,” Expert Syst. Appl., vol. 40, no. 9, pp. 3747–3755, Jul. 2013. Yücel, A. and Güneri, A. F., “A weighted additive fuzzy programming approach for multi-criteria supplier selection,” Expert Syst. Appl., vol. 38, no. 5, pp. 6281–6286, May 2011. Yazdani, M., “An integrated MCDM approach to green supplier selection,” Int. J. Ind. Eng. Comput., vol. 5, no. 3, pp. 443–458, 2014. Zhu, K.-J., Jing, Y., and Chang, D.-Y., “A discussion on Extent Analysis Method and applications of fuzzy AHP,” Eur. J. Oper. Res., vol. 116, no. 2, pp. 450–456, Jul. 1999. Zheng, G., Zhu, N., Tian, Z., Chen, Y., and Sun, B., “Application of a trapezoidal fuzzy AHP method for work safety evaluation and early warning rating of hot and humid environments,” Saf. Sci., vol. 50, no. 2, pp. 228–239, 2012. Zhang, C. and Ma, C., “A New Multi-attribute Optimal Selecting Method for Weapon System through Trapezoidal Fuzzy Analytic Hierarchy Process and Delphi *,” no. 60572173, pp. 7821–7825, 2006. Chen, C.-T., Lin, C.-T., and Huang, S.-F., “A fuzzy approach for supplier evaluation and selection in supply chain management,” Int. J. Prod. Econ., vol. 102, no. 2, pp. 289–301, Aug. 2006. Azadnia, A. H., Saman, M. Z. M., and Wong, K. Y., “Sustainable supplier selection and order lot-sizing: an integrated multi-objective decision-making process,” Int. J. Prod. Res., vol. 53, no. 2, pp. 383–408, Jan. 2015. Jaiswal, R. K., Ghosh, N. C., Lohani, A. K., and Thomas, T., “Fuzzy AHP Based Multi Crteria Decision Support for Watershed Prioritization,” Water Resour. Manag., vol. 29, no. 12, pp. 4205–4227, Sep. 2015. Jakhar, S. K., “Performance evaluation and a flow allocation decision model for a sustainable supply chain of an apparel industry,” J. Clean. Prod., vol. 87, no. 1, pp. 391–413, Jan. 2015. Kannan, D., Khodaverdi, R., Olfat, L., Jafarian, A., and Diabat, A., “Integrated fuzzy multi criteria decision making method and multi-objective programming approach for supplier selection and order allocation in a green supply chain,” J. Clean. Prod., vol. 47, pp. 355–367, May 2013. Akbaş, S. and Dalkiliç, T. E., “Evaluation of trapezoidal fuzzy numbers on AHP based solution of multi-objective programming problems,” J. Intell. Fuzzy Syst., vol. 31, no. 3, pp. 1869–1879, Aug. 2016. Saaty, T. L., The Analytic Hierarchy Process. New York: McGraw-Hill, 1980. Kaufmann, A., Gupta, M.M., Introduction to Fuzzy Arithmetic: Theory and Applications. New York: Van Nostrand Reinhold, 1991. Dubois, D. and Prade, H. M., Fuzzy Sets and Systems: Theory and Applications, vol. 144. 1980. ISNAD AKBAŞ, Serkan , ERBAY DALKILIC, Türkan . "Multi-Criteria Supplier Selection based on Fuzzy Pairwise Comparisons in AHP". 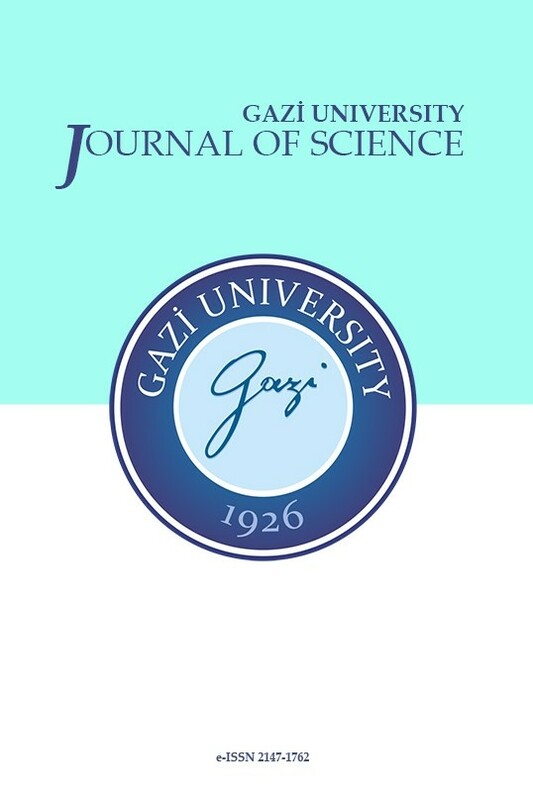 GAZI UNIVERSITY JOURNAL OF SCIENCE 31 / 1 (March 2018): 296-308.